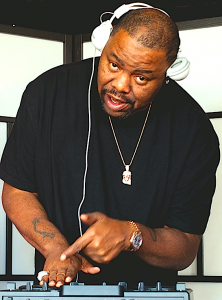 he legendary Biz Markie brings more than 30 years of solid hip-hop acumen and an overwhelming fan-base that stretches from New York City to Japan to Europe. 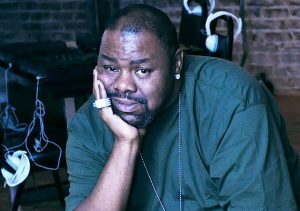 At the age of 14, Marcel Hall dazzled his neighborhood under the alias of Biz Markie. His music scene debut began in 1985 as a beat box for Roxanne Shante of the Juice Crew. From then Biz began constructing his own destiny in the mystifying world of rap and hip-hop. Now 30 years older and immensely wiser, Biz continues to be universally praised by the ever-fickle and unforgiving hip-hop industry. No easy feat to accomplish, Biz is the definition of longevity and has managed to remain one of the most notable artists and DJs in the industry. Born to embrace hip-hop, Biz is originally from Harlem but later moved to Long Island where he gained notoriety by his early teen years for beat boxing and rhyming. The Biz began his journey by beat boxing his way into hearts of hip-hop lovers 0and delivering humorous, witty rhymes that made him loveable and admired by music fans all over. You can find Biz spinning and performing amongst almost every major celebrity in America and abroad. He has under his belt such mega-events as The Grammy’s After Parties, The Pre-Oscar Party, Will Smith Movie Premiere Events, Chris Rock’s “No Apologies” tour, events hosted by The Magic Johnson Foundation, State Farm (50 Million Pound Challenge), ESPN as well as for such annual occasions as the Super Bowl, NBA Allstar Weekend, CIAA Weekend, Essence Festival and many more. 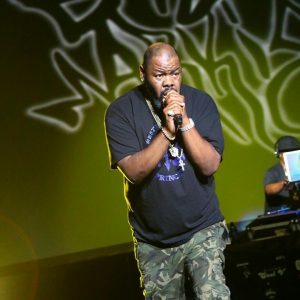 Biz Markie shows no signs of stopping. He currently DJs and performs in club and concert venues all over the world, consistently booking over 175 shows a year. “Just a Friend” made VH1’s list of 100 greatest hip-hop songs of all time. Biz’s television credits include Nick Jr’s “Yo Gabba Gabba” doing “Biz’s Beat of the Day”, Sharknado II, Spongebob Squarepants, “Nick Cannons “Wild N Out” on MTV, MAD TV, Hip-Hop Squares, VH1’s “Celebrity Fit Club”, Randy Cunningham: 9th Grade Ninja, and In Living Color. Biz has appeared on Late Night with Jimmy Fallon and The Roots, The Jimmy Kimmel Show and The Meredith Vieira Show. Other projects include Listerine, Zevia, commercials for Lucky Charms, Radio Shack and Heineken, TuneUp Media, and designing a sneaker with Pro Keds. 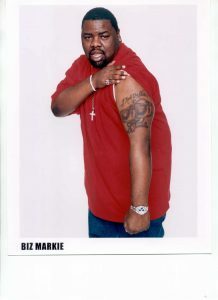 The Biz Markie brand has also achieved commercial success for corporate sponsors such as Capt’n Crunch, Verizon, Pepsi Cola Corporation, Budweiser and more. Biz also provides music entertainment for various political fund-raising and awareness events. 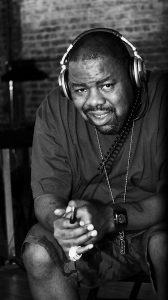 With more than 30 prosperous years in the entertainment industry, Biz Markie continues to maintain his longevity while pioneering innovative works. Biz moves with ease through multiple genres outside of the Hip Hop world, having worked with The Rolling Stones, Will Smith and the alternative rock band The Flaming Lips just to name a few. 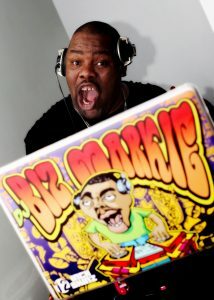 Simply put, Biz Markie is one of the most sought after Entertainers in the business to date.